Dandelion: They’re everywhere, I know. And they spread quickly in both grass and flower bed. Like most little kids (and, let’s face it, big kids) are aware, it’s pretty fun to make a wish and blow those fluffy little seed pods out to propagate. Ground Ivy: This has inhabited our back flower bed from the time when a tree lived there too, which somehow made that ivy less noticeable, at least to me. What I’ve learned, though, in the process of getting rid of it, is that pulling out ivy by root and tendril can be a very satisfying accomplishment. Nodding Plumeless Thistle: These root themselves quickly, and they’re so sharp and prickled that -- and I'm speaking from personal experience, here -- you probably shouldn’t grab ahold of them without some nice tough gloves on your hands. Lesser Celandine: These are sneaky. They look like buttercups, which seem so civilized and polite, but between those and the ground ivy, we have had to battle to recover our back flower bed. Crab Grass: On germination, this shows up too much like the alyssum I planted on purpose last spring…but it’s soooo much more persistent…and so much less beautiful…and it infiltrates among the other things I planted on purpose: like five kinds of tomatoes, and the second round of scarlet runner beans from seeds we blessed here at our altar last year during Lent, and marigolds and nasturtiums and even some surreptitious, supposedly non-invasive morning glory vines. So it’s frustrating, and maybe more than a little annoying, to plant this stuff I want to have grow, to pull weeds to make room, and then turn around a few days later to find still more weeds. Quackgrass. Purple loosestrife. Bindweed. Tree of Heaven. One thing I have never, ever planted is a mustard seed. I haven’t ever heard of people working to nurture their mustard plants, haven’t known of gardeners to congratulate one another on an abundant crop of…mustard. Honestly, it seems a little strange. I had to look it up, even, so my knowledge of mustard seed farming is limited only to scripture passages and online searches. Mustard plants don’t grow in neat rows, it turns out, they show up in a field and take over. So getting all excited about somebody’s mustard harvest seems a little bit like saying –“Hey, what a tall and fluffy field of dandelion puffs you’ve managed to grow, there, right in the next yard over,” as I hold my breath and wait for the next strong wind to blow. One thing, though, that Jesus never, ever says in all of his parables, is this: The kingdom of heaven is like an heirloom tomato plant: add some compost and plant it in the sun, stake it just right and keep it watered, and it will yield predictable tomatoes, just like you expected…tasty with some salt and a nice crusty loaf of bread. No, Jesus’ kind of plant grows outside our expectations. It surprises and annoys and even frustrates us. Honestly, the crab grass is driving me crazy. And it feels like I just got all the bindweed out from among the sunflowers John planted next to our driveway; but when I came home from church yesterday there were twice as many weeds there as I thought I pulled last time. So is that what the kingdom of heaven is like? Persistent and sharp and annoying, always showing up in the places where we thought it had finally been rooted out? Because honestly, I think that’s good news this week. From the Russia investitagation, to the health care debates and vote and fallout, to the service of transgender people, to the Illinois state budget, to White House (ahem) staffing, to a speech at the Boy Scout Jamboree, to the North Koreans launching missiles, any piece of which could claim its own news cycle, instead each piece this week has converged in rapid succession, practically before we can take a breath and absorb the last. So in the midst of all that, a word that the kingdom of God will persist, and surprise, and reclaim with insistence, this gospel is good news indeed. This is a week when I need to know that God’s kingdom doesn’t have to be coddled with compost and sunshine and just the right placement, but instead will come in and spring up and take over, maybe even spite of us...and surely outside the orderly rows where my own imagination might well place unnecessary limit. This is a week when I need to know that all things really do work together, for good, for those who love God: ivy and rose, thistle and tomato, crab grass and coreopsis and cosmos and celandine. In his letter to the Romans, Paul writes that the Spirit helps us in our weakness, interceding with sighs that are too deep for words. Who will separate us from the love of Christ? he asks: hardship or distress, persecution or famine, nakedness or peril or sword? 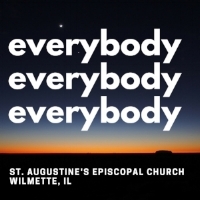 None of that, Paul promises the church at Rome, Paul promises this church in Wilmette today. Neither death nor life; neither angels nor rulers; neither things present nor things to come, nor height nor depth nor anything else in all creation; not one thing, finally, will separate us from God’s love. Mustard seeds are tiny, to the point of going unseen. They invade, overturn what had been; they frustrate what we might have anticipated. Is the kingdom of God like that? Is God’s love, in the end, like that? If so, I think that’s good news for a world that has exhausted its predictable outcomes. Our overly-cultivated soil needs to be transformed and redeemed in unexpected ways, maybe even subversive ways. Because left to our own devices, we will not transform ourselves. Left to our own devices, we cannot redeem ourselves. The same God who imagined mustard seeds in the first place, and then brought forth life and growth from them, a place where birds can find their landing place. The same God who took a handful of dirt, shaped it into God’s very own image and likeness, and then breathed sacred breath into that first person. That’s the God who calls us good, the God who calls us very good; the God who will allow not one thing to separate us from God’s own love; the God who promises to surprise us by bringing forth a kingdom greater than we can ask, more beautiful than we can ever imagine.